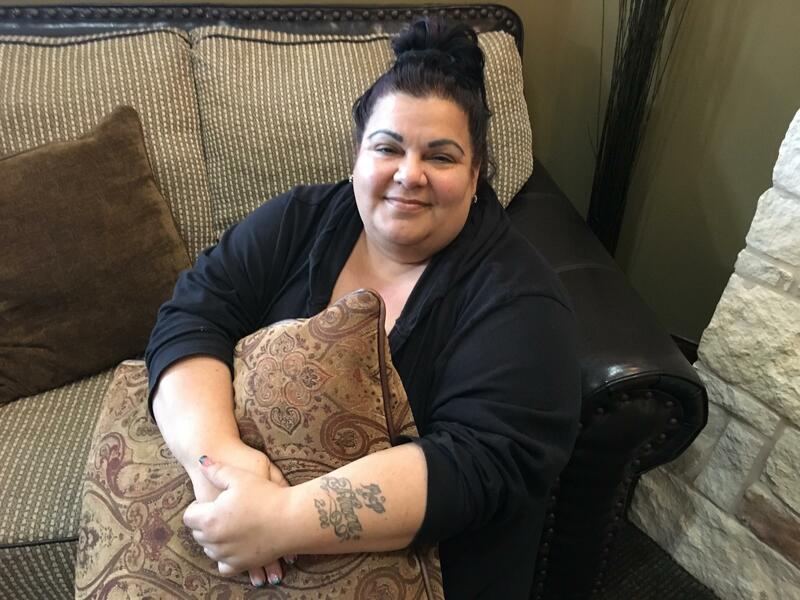 Noemi Padilla, 47, recently left Tampa Women's Health, an independent clinic in Tampa, Fla. She worked there as a surgical nurse and assisted on abortion procedures up to about 23 weeks gestation. 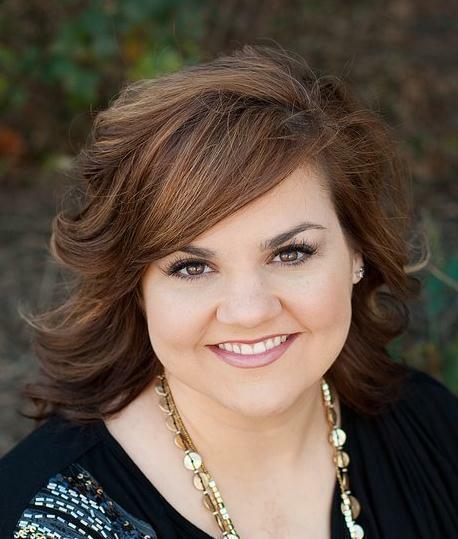 Abby Johnson founded the anti-abortion group And Then There Were None after leaving her job running a Planned Parenthood clinic in Texas in 2009. Annette Lancaster, 40, used to manage a Planned Parenthood health center in Chapel Hill, N.C. She says the work made her feel "dark and morbid." At a secluded retreat center outside Austin, about a dozen, mostly middle-aged women are gathered in a quiet conference room. Some huddle under blankets to ward off the chill from an unusual Texas cold spell. This session's topic: guilt and shame. "Does anybody feel like they're still dealing with, like, shame? Like, feeling bad about yourself as a person, because of what you've done in the clinics?" Abby Johnson asks the women seated in a circle of chairs around her. The room is mostly silent. But as the weekend goes on and the participants get more comfortable, they begin to cry and pray together, and to share their stories. Most anti-abortion rights groups aim to restrict the procedure through state legislatures and the court system, or by urging pregnant women to carry to term. Johnson's goal is to persuade as many workers as possible to leave the field. She and other members of And Then There Were None visit clinics where abortions are performed. They hold up signs, pass out pamphlets and urge the workers to quit their jobs. For those who do leave clinic work, the group offers temporary financial assistance, resume help, and spiritual and emotional support, including retreats like the one near Austin. The group does not have a formal religious affiliation, but has a "prayer team" and offers to connect former clinic workers with Christian churches and pastors. 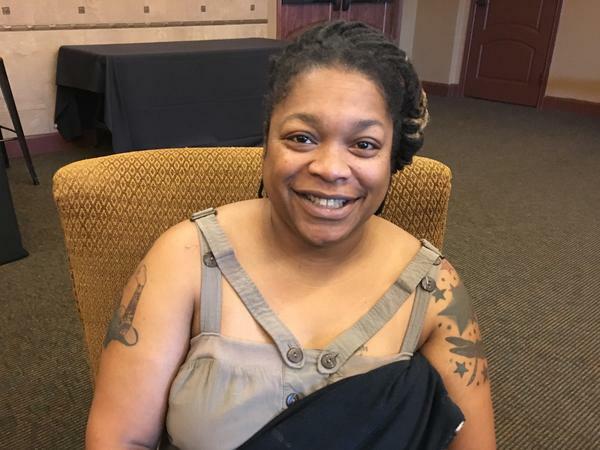 Johnson, a mother of seven, generated headlines — and a fair amount of skepticism and controversy about her story — after she quit her job as a Planned Parenthood clinic director in Bryan, Texas, in 2009. She says she had a change of heart about her work after viewing an abortion through an ultrasound. She describes the moment as a "spiritual awakening." Planned Parenthood has disputed some of the details of Johnson's story, and at one point filed a restraining order against her, fearing she would release confidential patient records from the clinic. Johnson responded that she never intended to disclose any private information, and a judge dismissed the case. Retreat participant Annette Lancaster, 40, is currently a stay-at-home mom. For several months, ending in May 2016, she managed a Planned Parenthood health center in Chapel Hill, N.C.
Lancaster says events like this one provide a place to talk about details that friends on both sides of the abortion debate can be reluctant to discuss. "These are my sisters, who I can talk to about things I've seen and done in the clinic that other people would probably turn green and pass out about," Lancaster says in a private moment away from the group. She says the job began to make her feel "dark and morbid," and she was troubled by the way she says she and some of the other workers referred to fetal remains. "I just now started being able to use the deep freezer in my home by going through [therapy], because we used to call the freezer the 'nursery' ... And we used to think that was funny," she says. Lancaster says she felt pressure to keep up the number of abortions performed at the clinic each month, even if patients seemed hesitant. In a statement to NPR, Planned Parenthood South Atlantic denies those claims. The organization says Lancaster was fired for reasons related to her job performance. "I would never tolerate my staff using disrespectful language, and Planned Parenthood does not have a fixed number required for any of its services. Planned Parenthood follows all applicable laws and advises patients on the full range of pregnancy options, including choosing adoption, ending a pregnancy, or raising a child. We insist on extremely high standards for all of our staff." After her departure, Lancaster says And Then There Were None helped cover a couple months' salary and a few other expenses. The group also provided temporary financial support to Noemi Padilla, a 47-year-old licensed practical nurse, who left her job at Tampa Woman's Health Center last year. "I just woke up one Monday morning and I was like, this is it. Today is the day," Padilla says. The Tampa clinic performs abortions well into the second trimester of pregnancy — up to 23 weeks, six days gestation. Padilla says the work had begun to plague her conscience. In an interview with NPR, clinic director Dorothy Brown said several other workers have also left the clinic with assistance from Johnson's group. She believes many were motivated by the chance to quit their jobs and still get a temporary paycheck. Abby Johnson says it's likely that a small number of former workers are primarily motivated by her group's offer of money. But she says And Then There Were None remains in regular contact with more than 300 people who have left abortion-related jobs. Abortion-rights advocates say they're skeptical about that figure. "The numbers just don't add up," says Elizabeth Toledo, a former vice president at Planned Parenthood who now runs a communications firm. Toledo notes that only around a dozen people (And Then There Were None's count is slightly higher) have gone public with their regrets about working in clinics where abortions are provided. Johnson's group counters that many former workers are hesitant to speak out about their experiences because they are ashamed that they worked at a clinic, or they fear retaliation from former employers. Whatever the total number of healthcare workers who've left abortion-related jobs as a result of Johnson's advocacy, Toledo says it's not enough to make a major impact on the availability of services. But, she says, the attrition can affect workers and patients nonetheless. "It's just another stressor on people who are already going to work in a highly-charged political environment," Toledo says. "And I don't think that they're going to be successful, but they are going to make people have to deal with an additional layer of stress — about their workplace, about their decisions, about their families, and their lives." Abby Johnson says after she left her job at Planned Parenthood, she also suffered from that highly charged environment. Some abortion-rights opponents refused to accept her into the movement, calling her "disgusting" and saying she deserved imprisonment or eternal damnation because of her work at the clinic. "They were, like, 'You either need to go to jail or hell' — those were the options," she says with a laugh. But Johnson says now those comments have largely faded. She has gradually been embraced by the anti-abortion-rights movement, as one of the rare people who has spent time publicly on each side of this divisive issue. Opponents of abortion rights often focus their work on trying to restrict abortion through legislatures and the courts or persuading pregnant women to carry to term. But one group is taking a different focus - encouraging health care workers to leave abortion-related jobs. NPR's Sarah McCammon has the story. SARAH MCCAMMON, BYLINE: At a secluded retreat center outside Austin, Texas, roughly a dozen women are gathered in a quiet conference room. Abby Johnson is leading a discussion about guilt and shame. MCCAMMON: At 37, Johnson is the mother of seven children and CEO of the anti-abortion group And Then There Were None. Johnson generated headlines and controversy after she left her job as a Planned Parenthood clinic director in Bryan, Texas, in 2009. As she told a local TV station at the time, Johnson says she had a change of heart after viewing an abortion through an ultrasound. Planned Parenthood has disputed some of the details of her account. JOHNSON: I just thought, I can't do this anymore. And it was just like a flash. MCCAMMON: Johnson founded And Then There Were None in 2012 with the goal of persuading others to follow suit. The group visits health centers where abortions are performed, holding up signs and urging workers to quit. For those who do, the organization offers financial assistance, resume advice and emotional support, including retreats a few times a year. Usually these gatherings are closed to media, but NPR was allowed to observe portions of a retreat in Texas in December. Annette Lancaster says she needs a place to talk about things that friends on both sides of the abortion debate often are reluctant to discuss. ANNETTE LANCASTER: These are my sisters who I can talk to about things that I've seen and done in the clinic that other people would probably turn green and pass out about. MCCAMMON: Lancaster is 40 and is now a stay-at-home mom. For several months, until May of 2016, she managed a Planned Parenthood health center in Chapel Hill, N.C. Lancaster says the work began to feel dark and morbid, and she's been seeing a therapist. LANCASTER: I just now started being able to use the deep freezer in my home by going through therapy because we used to call the deep freezer the nursery. And we used to think that was funny. MCCAMMON: Lancaster says she felt pressured to keep up the number of abortions performed at the clinic each month even when women seemed hesitant. In a statement to NPR, Planned Parenthood South Atlantic denies those claims and says Lancaster was fired for reasons related to her job performance. After her departure, Lancaster says she received enough money from And Then There Were None to cover a couple months' salary. The group also provided temporary financial support to Noemi Padilla, a 47-year-old nurse. She left her job last year at Tampa Women's Health Center in Florida. NOEMI PADILLA: And I just woke up one Monday morning and I was like, this is it. Today is the day. MCCAMMON: The clinic performs abortions well into the second trimester of pregnancy. Padilla says the work began to plague her conscience. In an interview with NPR, center director Dorothy Brown said several other workers have left with assistance from the group. Brown declined to be interviewed on tape, but says she thinks many who leave are motivated by money. Whatever the reasons why workers quit, they're not going in numbers large enough to threaten abortion access, says Elizabeth Toledo. She's a former vice president at Planned Parenthood who now runs a communications firm. But Toledo says groups like And Then There Were None can have an impact on workers and patients. ELIZABETH TOLEDO: It's just another stressor on people who are already going to work in a highly charged political environment. And I don't think that they're going to be successful, but they are going to just make people have to deal with an additional layer of stress. MCCAMMON: Abby Johnson says upon leaving Planned Parenthood, she also suffered from that highly charged environment. And the criticism of her hasn't just come from abortion rights supporters. JOHNSON: When I came out of the industry there was still a lot of hate from the pro-life movement. MCCAMMON: Early on, Johnson told the women gathered around her at this retreat, she recalled some abortion opponents saying she should burn in hell because of her work at the clinic. JOHNSON: They were like, you either need to go to jail or hell. That was - like, those were the options (laughter). MCCAMMON: But Johnson says those comments have faded as she's gradually been embraced by the anti-abortion rights movement as one of the rare people who's been a public figure on each side of this divisive issue. Sarah McCammon, NPR News. (SOUNDBITE OF MESHELL NDEGEOCELLO SONG, "PLEASE DON'T LET ME BE MISUNDERSTOOD") Transcript provided by NPR, Copyright NPR.